Marketing Communications guru : Suzanne Stolberg is in the guest blogging chair. Witty Words or Pretty Pictures? In the eight years I’ve worked with Greg on many different projects, we’ve often debated whether marketing vehicles such as websites, brochures, leaflets, reports and advertisements should be image-led or word-led. His mantra has always been that a picture says a thousand words; my view is that the best selling and most influential book of all time never had any pictures in it! Ultimately, it’s about working together for the client and over time we’ve developed a very easy communication style with each other. He tolerates my often unique artistic direction and I’ve learnt to keep my mouth shut when he spends 30 minutes just setting up the lighting when we’re in a busy location! What always unites us is during the post production stage when we sit, over several mugs of tea, seeing the emergence of jaw-dropping images that make us both grin like Cheshire cats. So as his guest blogger this month, what should I be writing about here? Do I impart valuable wisdom about key word saturation versus relevance for websites and how Google Pandas have taken over from the previous spiders? Are you more interested in hearing about content marketing and how to it fits within integrated marketing communication strategies? If I haven’t lost you yet, then please stay with me because that’s as bad as it gets! You see, my biggest belief when it comes to writing – whether online or offline – is that you have to make it interesting. So if you’ve been reading Greg’s previous posts here it’s because I’ve encouraged him to write about what photography enthusiasts want to know, such as how the shoot went or the challenges he faced. And it’s the same when I’m writing for commercial real estate sustainability consultants or outdoor military fitness companies, I talk about the stuff that’s interesting. Ultimately, what makes a good copywriter or a good commercial photographer is the inherent trait of being very nosey. Both Greg and I are very comfortable in asking clients a myriad of questions all the way through projects – “Why do you stick them on that way?” “Does that hurt?” “Who thought of pushing them together?” – if you’re genuinely interested in what the client does then your work – whether words or pictures – will reflect their business in a fascinating way. Although I’ve still yet to fully understand why it takes Greg half an hour to set up a simple light! 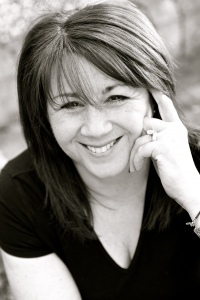 You can get in touch with Suzanne and follow her regular blog at www.wordofmouthassociates.co.uk – I highly recommend it.